On Tuesday, August 23, the California Senate Judiciary Committee held a public hearing for AB 768, a bill co-authored by Assemblyman Mike Gatto and Assemblywoman Fiona Ma, that would prohibit local municipalities from creating legislation that places restrictions on male circumcision. The hearing was attended by approximately fifteen people in opposition, including several members of Bay Area Intactivists, some of whom held a public demonstration alongside the Capitol prior to the hearing. Testimony was heard from three supporters including Ryan Spencer (California Medical Association spokesperson), Cliff Berg and Valerie Small Navarro (American Civil Liberties Union). Those who spoke in opposition were Brian Levitt, Tina Kimmel, and Lloyd Schofield. Others in opposition were only given the opportunity to give their name and affiliation. The bill passed unanimously 5-0 and will now be passed to be heard before the full senate. 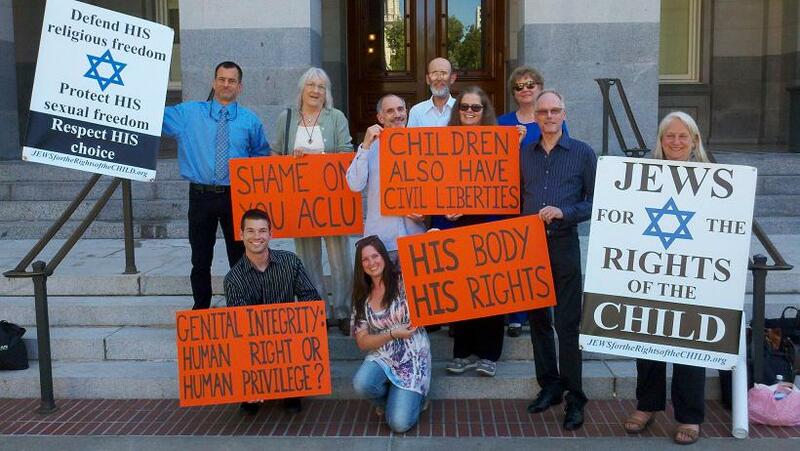 Although disappointed by the result of the hearing, Bay Area Intactivists will continue to fight to end the forced genital cutting of children. Human rights, including the human right to genital integrity, are non-negotiable. After attending the Senate Judiciary Committee hearing (where I got to meet a couple of you fine folks! ), I am ready to begin working on an initiative to make it illegal to perform any elective surgery in CA without the informed consent of the "patient" (i.e., person on whom the surgery is to be performed). Is anyone one else ready and willing to help with this? Already working on it or planning to do so?